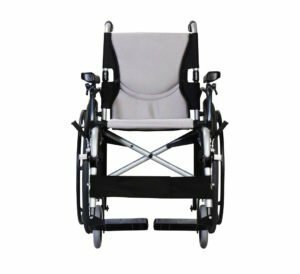 I have been in a wheelchair since I was injured 8 years ago. 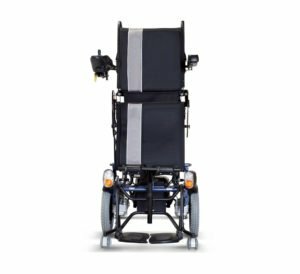 I replaced my last wheelchair with a Karma S- Ergo 305 one year ago. I like it a lot. It is hard for me toe self-propelled, so when I need to get around, my family and friends help me out. 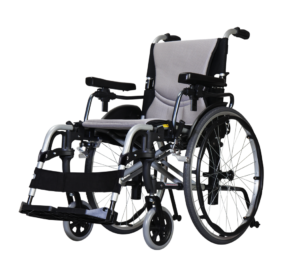 For this reason, I was looking for an easy to push wheelchair. I do have one suggestion for S-Ergo 305. In order to enhance the comfort of long term sitting, I would prefer to have pneumatic tires on both the front and rear wheels. The main reason for this is that I don’t often stay outside alone for long duration, so I have no worries about getting a flat tire. In my opinion, the pneumatic tires would fit my needs better. I had a test run of an Ergo-stand recently. 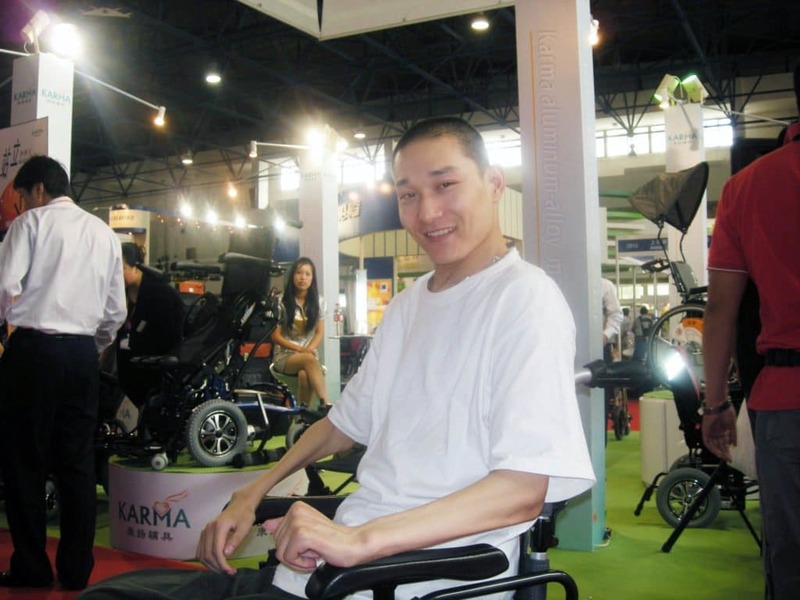 My arms are too weak to use a manual wheelchair, so I want to own a power wheelchair in the near future. 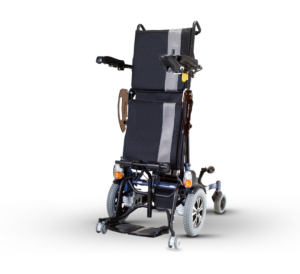 Ergo-stand is a power wheelchair which provides a function to help users stand up. With this function, the users are more free and confident in social situations. I was so touched after the test. It has been a so long since I last stood up, I almost forgot how tall I am.